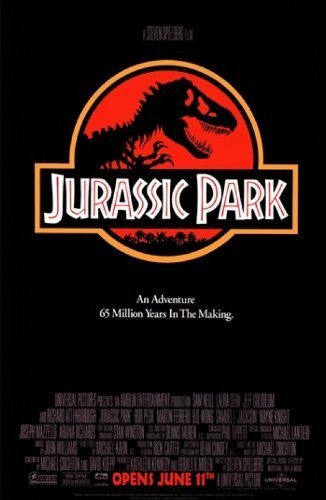 Twenty-five years ago, director Steven Spielberg created a movie that was 65 million years in the making. With cutting-edge CG effects and a rousing adventure story only the filmmaker behind Jaws and Raiders of the Lost Ark could conjure, Jurassic Park, based on the novel by author Michael Crichton, went on to become the highest-grossing film of all time at the time (today, it maintains the 17th position). Now, in celebration of the original film’s 25th anniversary and with the fifth installment of the dino franchise about to hit theaters, it’s time to look back to where it all began in case you missed a few things. 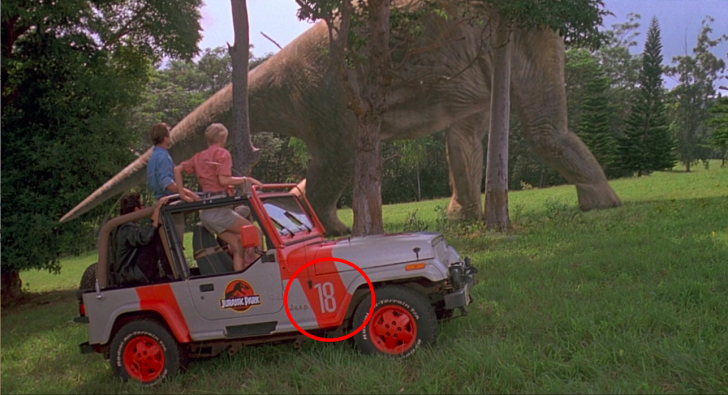 Here are 18 details to look out for next time you take a trip to Jurassic Park. 1. A CAMERAMAN PROTECTED JOPHERY … AND HIS CAMERA. 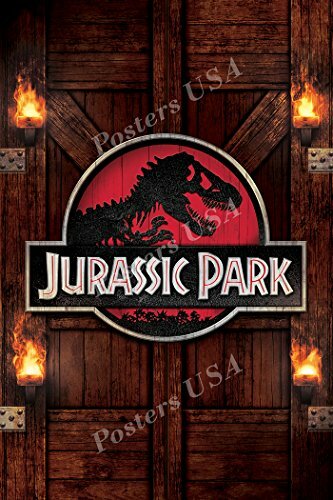 The film’s opening scene features the park game warden, Robert Muldoon, and a group of handlers attempting to transport velociraptors from a cage into their paddock, but it goes terribly wrong. Jophery, the “gatekeeper,” is thrown off the top of the cage as the alpha raptor attempts to escape. In the shot when Jophery falls toward the camera before being pulled into the cage and devoured by a pack of hungry dinos, the camera operator’s hand can be seen in the bottom right of the frame making sure the stuntperson doesn’t fall into the camera. 2. LIFE FINDS A WAY … IN ALAN GRANT’S SEAT BELT. The scene when the helicopter carrying Alan Grant (Sam Neill), Ellie Sattler (Laura Dern), Ian Malcolm (Jeff Goldblum), and John Hammond (Richard Attenborough) descends into Jurassic Park features a clever and unorthodox bit of foreshadowing. 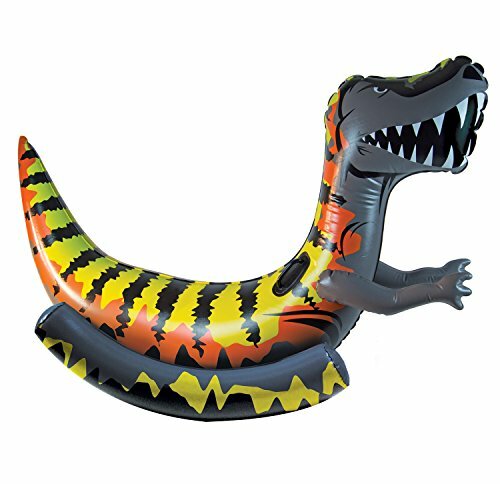 Using a bit of resourcefulness, Grant goes against the odds to find a way to make it work—just like the dinosaurs in the park are able to reproduce despite being bred as females. 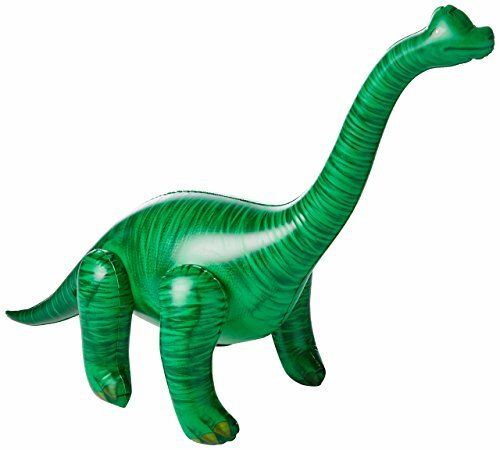 The line is a deliberate reference to something effects pioneer Phil Tippett, who developed “go-motion” animation for the film, said to Spielberg before the director settled on primarily using groundbreaking CGI for the movie (“I think I’m extinct”). Instead of leaving the production, Tippett stayed on to serve as a consultant by helping the CG animators create realistic movements for the digital dinos. 4. JOHN HAMMOND’S JEEP GETS GREAT MILEAGE. Keep an eye out for the Jeeps that Hammond uses to buzz around and show off the park to his first guests. 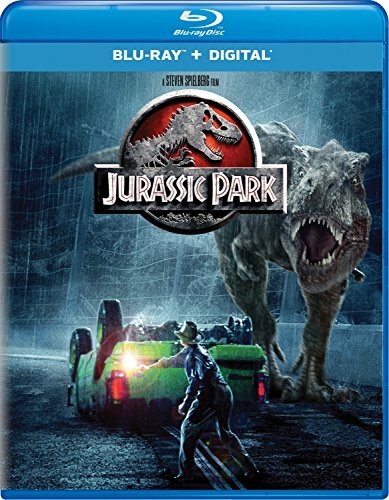 JP29 is the same truck used by the characters Gray and Zach to escape from the old section of the park in 2015’s Jurassic World. 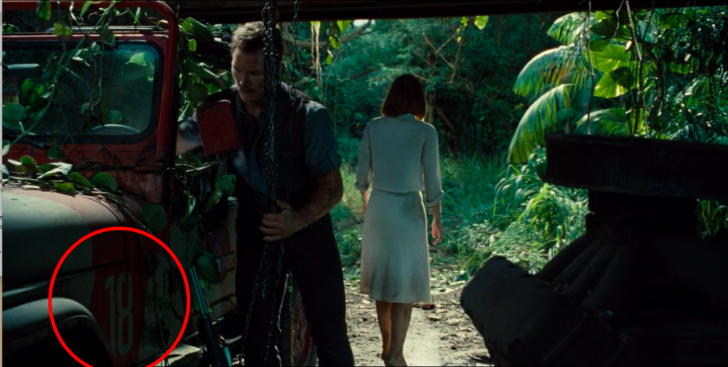 Grant and Ellie’s JP18 truck can also be seen in the garage in Jurassic World when Chris Pratt and Bryce Dallas Howard’s characters, Owen and Claire, try to escape from the Indominus rex. 5. THE NEXT JURASSIC PARK WAS SUPPOSED TO BE IN EUROPE. They also hint at Hammond’s “Future Attractions.” He was also planning to expand internationally to Jurassic Park Europe.